If your carpet is stained, soiled and the colours are beginning to fade, there is only one thing to do. And no, we don’t mean buying a new one! Contact us to book our unrivalled carpet cleaning service in SW7 Kensington and we can promise you visiting the store won’t be necessary. Pro Cleaners Kensington‘s cleaners use only the most powerful carpet cleaning techniques and equipment, as well as environmentally-friendly and biodegradable products. We are very proud of the members of our staff as they are reliable, experienced, expertly trained and not to forget – always polite and obliging to customers. This is the key to our company’s success and amazing delivery! Need a professional and high-quality carpet cleaning in SW7 Kensington? Then we have a solution for you – book one of our company’s expert cleaners and you won’t regret it! Carpet cleaning is our passion – this is what we are good at! Make an appointment and we’ll restore the freshness and beauty of your carpet in the blink of an eye! Booking a professional clean is far more advantageous and inexpensive than buying a new carpet. However, carpet cleaning requires specific equipment and detergents which only the experts have. That’s why you should turn to our company’s carpet cleaners – they have everything it takes to restore your carpet to its “store” condition. What to expect from our service? 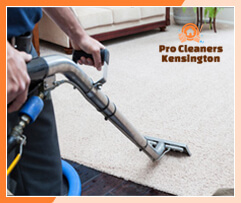 The carpet cleaners in SW7 Kensington we employ are very diligent and detail-oriented. Once they enter your home, they will begin with an inspection of your carpet, identifying the origin of all stains. A test is performed on a small area of the carpeting to determine the most suitable approach. Pre-vacuuming and grooming is a must with us – it eliminates all dust, allergens and dander. Depending on the initial condition of your carpet, our experts will use either hot water extraction or dry cleaning. Both methods are extremely efficient in removing a wide variety of spots and stains. Bare in mind we use only the highest-quality equipment regardless of what approach is applied. You don’t have to worry about the health of your child or pet – with us they are in good hands because we only use non-toxic, “green” solutions and cleaning products. 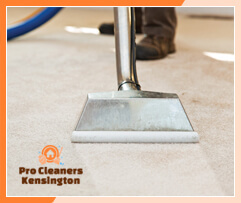 Our carpet cleaning service in Kensington London is truly the genuine article! Don’t waste time and money on a new carpet! Book us on the phone for spectacular results!